“Boston is an amazing technology hub and startup hub,” said Chewy.com CEO Ryan Cohen. Boston is home to websites that peddle engagement rings, office supplies, and home furnishings. But the newest player on the city’s e-commerce scene sells squeaky toys and scratching posts. Chewy.com, an online pet supplies retailer founded in Florida in 2011, is setting up an outpost in Boston that it expects will soon employ 200 people. Chief executive Ryan Cohen said a small team is already working in temporary space, and the company has leased its own 20,000-square-foot office. The online retailer has job openings for recruiters, designers, and software developers, though Cohen said it will eventually add a broader range of roles. Among the early local hires is Mike Surilov, a software executive who joined this month from DataXu, a Boston online advertising company. 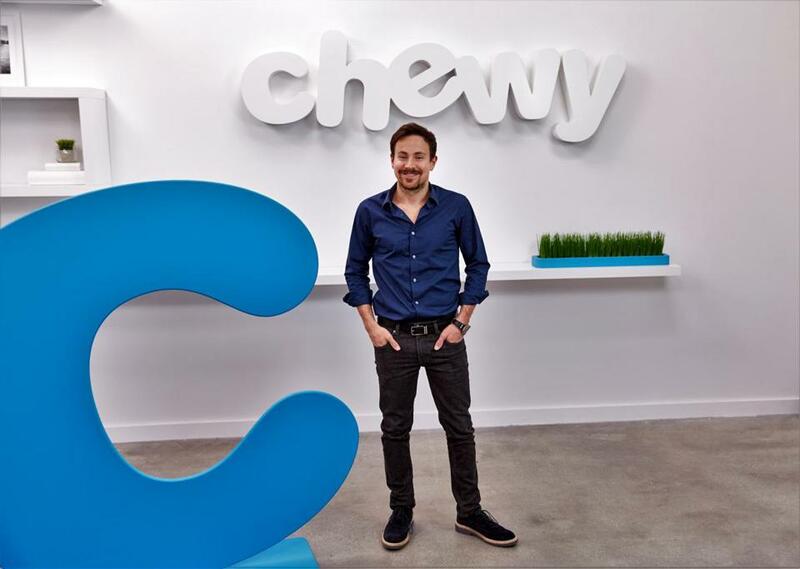 Chewy, headquartered outside Fort Lauderdale in Dania Beach, Fla., has roughly 4,000 employees; Cohen said the privately held company had revenue of $900 million in 2016, a number he said could reach $2 billion this year. One factor working in Boston’s favor was that the company’s earliest backer, the venture capital firm Volition Capital, is based in the city. Volition invested $15 million in 2013; Chewy has raised more than $200 million more since then. A December report from the market research firm Forrester Research included pet supplies as one of the fastest-growing categories for e-commerce in the coming five years. Cohen said his company has been able to compete successfully against larger online retailers like Amazon.com by offering a high level of customer service. About 25 percent of Chewy.com’s customers, he said, interact with customer service staffers in some way, whether by phone, online chat, or e-mail. “They may want to know what we recommend as the best grain-free food, or they’ll say, my dog is overweight — what food should I buy? We know the products we sell,” he said. One of the highest fliers of the dot-com era was Pets.com, an e-commerce site whose mascot, a sock puppet, starred in a Super Bowl ad in 2000. The company shut its doors later that year. Larry Cheng, a partner at Volition Capital, said that one reason Chewy will succeed where Pets.com failed is that consumers today are willing to spend more money on higher-quality food for pets — a recurring purchase. Cheng added that premium pet food is the fastest-growing part of the overall pet food business.